Hello. My name is Hillary Rodham Clinton. 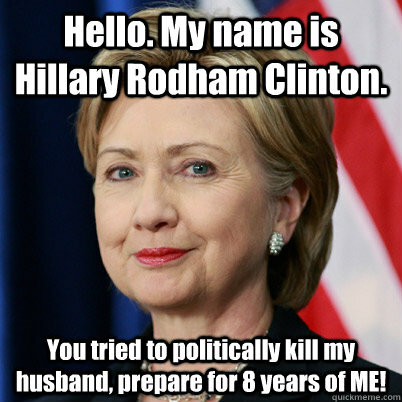 You tried to politically kill my husband, prepare for 8 years of ME!